Taxpayers have shelled out more than £36million in child benefit for 40,000 foreign-based children, it emerged last night. The figures emerged as Chancellor George Osborne plans to remove the weekly payment for more than a million middle-class parents. Child benefit was sent to 24,000 families who do not live in Britain, at an estimated cost of £36.6million in one year. Under EU rules, the benefit has to be paid to European nationals who are working in Britain and paying National Insurance – even if their families are based abroad. According to figures unveiled in Parliament yesterday, there were 23,855 families claiming for 40,251 children at the end of last month. Two-thirds of the children (25,623) are based in Poland. Payments were also made for 2,529 children in Ireland, 2,146 in France, 1,953 in Slovenia and 1,291 in Spain. Child benefit is paid at £20.30 a week for the first child and £13.40 for every other child, regardless of parental income. But from January, parents who earn £50,000 or more will see their benefit cut. Any family where one parent earns more than £60,000 will lose child benefit all together. Yet households where two parents are working and earn just under £50,000 each will keep their child benefits – even though their combined income will be higher. The reforms have triggered fury from Tory backbenchers who say they penalise families with stay-at-home parents. 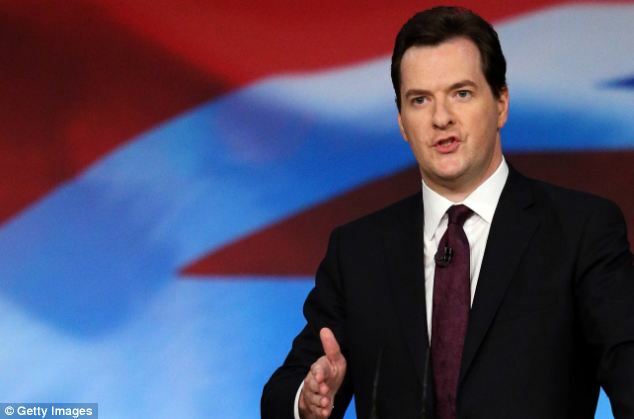 Cutting benefits for middle-class earners is expected to save £1.5billion a year. The Treasury has refused to say how much international child benefits totalled, but Tory MP Priti Patel, who uncovered the figures through parliamentary questions, estimated it was £36.6million. Mrs Patel said: ‘Hard-pressed taxpayers will be appalled to see their pockets being pillaged to pay out millions of pounds in child benefit payments for children living in other parts of Europe. ‘This is deeply unfair and demonstrates yet again that some European immigrants are using crazy EU laws to get away with abusing our benefits system. A Treasury spokesman said: ‘The payments can only be made while the parents are working in the UK and paying UK national insurance. Families were due to receive letters setting out the changes to higher earners, but HM Revenue and Customs could not find a simple way to explain them, so the letters have not been sent. Cathy Jamieson, Labour’s shadow Treasury minister, said: ‘With just a few weeks until hundreds of thousands of parents lose every penny of their child benefit, it’s becoming ever clearer that David Cameron and George Osborne simply haven’t thought this policy through. A HMRC spokesman said: ‘It is wrong to suggest we are behind with letting people know about the child benefit changes. Our plans are firmly on course to contact affected taxpayers from next week.